Dried-fruit beetle Carpophilus hemipterus, copyright Udo Schmidt. The Nitidulidae are a morphologically and ecologically diverse group of small beetles, many of which feed on fungi but which may also feed on live or decaying vegetation. Characters (from Lawrence & Britton 1991): Usually oblong to ovate, less commonly elongate and parallel-sided, strongly convex to flattened, usually brown or black, occasionally bicoloured, glabrous or pubescent. Antenna 11-segmented, with three-segmented club, club almost always distinct; head usually abruptly constricted at base of clypeus; frontoclypeal suture almost always absent; labrum often emarginate or bilobed (sometimes concealed); maxilla almost always without galea, palp not expanded apically; fore coxae transverse, trochantins exposed, fore coxal cavities externally open or closed, internally closed; mid coxal cavities contiguous or narrowly separated, laterally open; hind coxae well separated; tibiae often expanded and serrate or spinose; tarsi pentamerous or tetramerous, first four tarsal segments often with expanded setose lobes; elytra complete or truncate, exposing one to several abdominal tergites; abdomen with five or six ventrites, none connate. Larvae oblong to elongate and subcylindrical to flattened, dorsal surfaces often granulate or tuberculate, urogomphi (if present) often accompanied by second pair of projections (pregomphi); mandibles usually bearing complex prostheca with fringes of comb-hairs; spiracles often located at ends of tubular processes. [A71] Askew, R. R. 1971. Parasitic Insects. Heinemann Educational Books: London. [AY04] Austin, A. D., D. K. Yeates, G. Cassis, M. J. Fletcher, J. La Salle, J. F. Lawrence, P. B. McQuillan, L. A. Mound, D. J. Bickel, P. J. Gullan, D. F. Hales & G. S. Taylor. 2004. Insects ‘Down Under’—diversity, endemism and evolution of the Australian insect fauna: examples from select orders. Australian Journal of Entomology 43 (3): 216–234. [B70] Britton, E. B. 1970. Coleoptera (beetles). In: CSIRO. The Insects of Australia: A textbook for students and research workers pp. 495–621. Melbourne University Press. [C01] Csiki, E. 1901. Bogarak [Coleopteren]. In: Horváth, G. (ed.) Zichy Jenő Gróf Harmadik Ázsiai Utazása [Dritte Asiatische Forschungsreise des Grafen Eugen Zichy] vol. 2. Zichy Jenő Gróf Harmadik Ázsiai Utazásának Állattani Eredményei [Zoologische Ergebnisse der Dritten Asiatischen Forschungsreise des Grafen Eugen Zichy] pp. 75–120. Victor Hornyánszky: Budapest, and Karl W. Hierseman: Leipzig. [E02] Emberson, R. M. 2002. The beetle (Coleoptera) fauna of the Chatham Islands: additions and corrections. New Zealand Entomologist 25: 69–77. [E12] Evenhuis, N. L. 2012. Publication and dating of the Exploration Scientifique de l’Algérie: Histoire Naturelle des Animaux Articulés (1846–1849) by Pierre Hippolyte Lucas. Zootaxa 3448: 1–61. [F91] Fashing, N. J. 1991. Deutonymphal dimorphism in the genus Hericia (Astigmata: Algophagidae). In: Dusbábek, F., & V. Bukva (eds) Modern Acarology: Proceedings of the VIII International Congress of Acarology, held in České Budĕjovice, Czechoslovakia, 6–11 August 1990 vol. 2 pp. 287–291. SPB Academic Publishing: The Hague. [G89] Gestro, R. 1889. Viaggio ab Assab nel Mar Rosso dei signori G. Doria ed O. Beccari con il R. Avviso «Esploratore» dal 16 Novembre 1879 al 26 Febbraio 1880.—IV. Coleotteri. Annali del Museo Civico di Storia Naturale di Genova, Serie 2a, 7: 5–72. [L02] Latreille, P. A. 1802. Histoire Naturelle, générale et particulière des crustacés et des insectes vol. 3. Familles naturelles des genres. F. Dufart: Paris. [LB91] Lawrence, J. F., & E. B. Britton. 1991. Coleoptera (beetles). In: CSIRO. The Insects of Australia: A textbook for students and research workers 2nd ed. vol. 2 pp. 543–683. Melbourne University Press: Carlton (Victoria). [M86] Macleay, W. 1886. The insects of the Fly River, New Guinea, "Coleoptera". Proceedings of the Linnean Society of New South Wales, series 2, 1 (1): 136–157. [MB08] Matthews, E. G., & P. Bouchard. 2008. 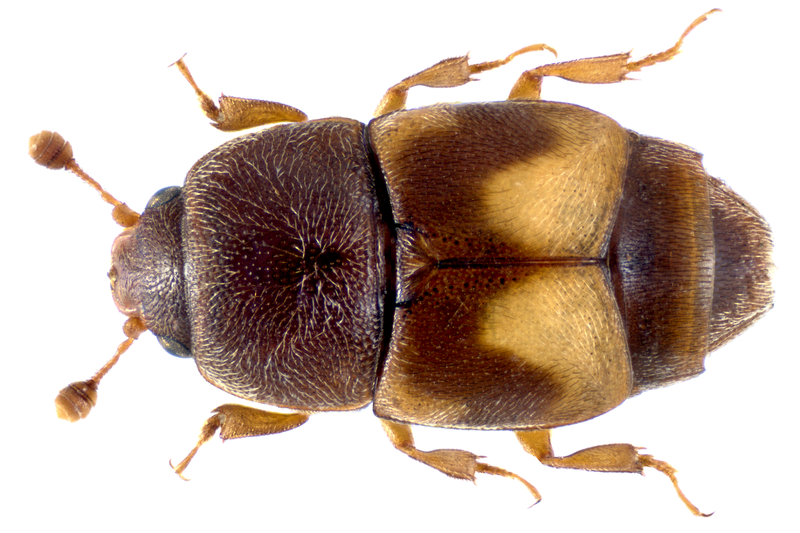 Tenebrionid Beetles of Australia: Descriptions of tribes, keys to genera, catalogue of species. Australian Biological Resources Study: Canberra. [MW15] McKenna, D. D., A. L. Wild, K. Kanda, C. L. Bellamy, R. G. Beutel, M. S. Caterino, C. W. Farnum, D. C. Hawks, M. A. Ivie, M. L. Jameson, R. A. B. Leschen, A. E. Marvaldi, J. V. McHugh, A. F. Newton, J. A. Robertson, M. K. Thayer, M. F. Whiting, J. F. Lawrence, A. Ślipiński, D. R. Maddison & B. D. Farrell. 2015. The beetle tree of life reveals that Coleoptera survived end-Permian mass extinction to diversify during the Cretaceous terrestrial revolution. Systematic Entomology 40 (4): 835–880. [O94] Otte, D. 1994. The Crickets of Hawaii: origin, systematics and evolution. The Orthopterists’ Society: The Academy of Natural Sciences of Philadelphia.